When You Want to Give Up, Don’t. Here’s Why. I’ve never given up… ever. Some have called this annoying, being stubborn, obsessed, living in denial, relentless, even delusional. But I call it believing in myself. Believing in a higher power. Believing I have a purpose in life. Believing in my ability to help others live their best life, to feel supported, to feel empowered, to feel fulfilled, to feel FREE. Not many have done it, so why should I be any different? I have beaten the odds my entire life. Being on my own since the age of 16. Coming from nothing, broke and broken. Building my life from the bottom up. Never once did I quit, never once did I give up. Through all the jobs and homes and moving around. All the naysayers and many emotional ups and downs. I finally worked my way up to a corporate position (I was very successful by society standards), making six figures armed with my intuition, intelligence, and talent for people. No college degree. I made it… or did I? Later down the road, I realized I was unfulfilled. I was no longer learning, growing, and making the difference I wanted to make in the world. I wasn’t connected and present in the way I longed to be with my loved ones. I knew I could BE more, that I could GIVE more. I knew I could take the wisdom and experience I’ve gained over the years to support others in having their best life and I could have the connection with those dear to me that I desired. And now I help other women business leaders who want to take back control of their time and balance their life, to live a life on their terms. There were lots of days reminiscent of the ones I described, but I made it. My faith is greater than my fear. My faith, my conviction and my belief in myself and the good I bring to the world are greater than anyone who doubts me. When you feel like you’re on the verge of breaking down, when you want to give up, DON’T. That is when you WILL have your breakthrough. Whatever it is that you want in life, IT’S YOURS. Are you ready to take back your time, balance your life, and achieve your dreams? I’d love to help! Click here to schedule your free Clarity Session. 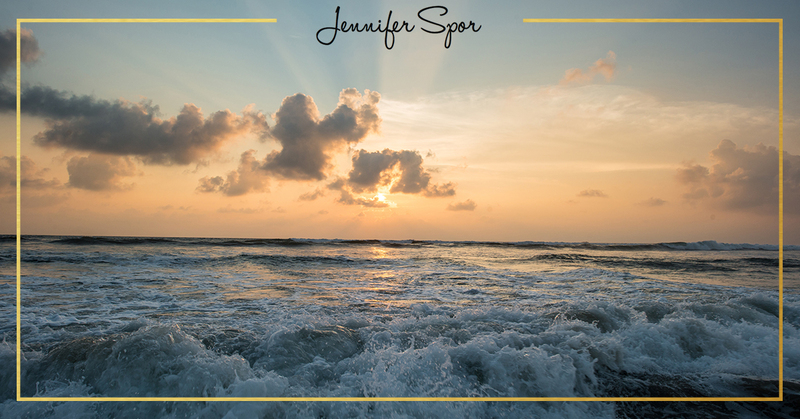 Jennifer helps women get unstuck, unlock their unique gifts and talents, and find their purpose. She has over 23 years of experience in leadership and mentoring. Jennifer is also a certified Law of Attraction Coach and a Reiki Practitioner.